One of the biggest myths about luxury travel is that it’s only for the super-rich. Of course, what one person sees as affordable can be extravagant to another but, even with this aside, there are many ways to make luxury travel much more affordable than you might have possibly imagined. Here are 10 ways to make that elusive luxury vacation more attainable. Flexibility is key. If you are able to travel out of peak season, that will immediately open the door to more competitive rates. Travel companies don’t do special offers when they know they are going to ‘sell out’ regardless. But it doesn’t just stop there – travelling at weekends can be cheaper than mid-week, or taking a flight where the hours of departure or arrival are somewhat less sociable can also bag you a bargain. Bear in mind also that the off-season varies from one destination to the next, and even for different regions within the same country. At the same time, be wary of the flip side of all of this: for instance, for some places the off-season can mean that restaurants are closed or, depending on the destination, that you’re more at risk of a monsoon or hurricane. The travel industry loves people who book early – so much so that it’s prepared to offer significant discounts in order to lure people in. If you’re in a position to plan ahead, then you can not only take advantage of these offers, but you might also find other incentives such as in-resort credits, free airport parking or even free places for children thrown in. Generally speaking, long haul flight prices tend to go up rather than down as you get nearer to the date of departure. What’s more, by booking early you’ll get first pickings of the exact place you want to stay, rather than settling for ‘sloppy seconds’. All that said, another way to ‘bag a deal’ is to leave it to the last minute. If you’re easy-going about where you go, and are just happy to accept a last minute deal regardless of destination, then there can be great deals to be had by leaving it until the eleventh hour. There are many sites and apps that cater for this market – a trawl of the likes of Holiday Pirates, Hotel Tonight, Kayak, Secret Escapes, Travel Republic and Travelzoo (and many others) should have you bagging a bargain in no time. Of course, saving wisely for your vacations can be a great way to make them more affordable, too. In the UK, an Individual Savings Account – better known as an ISA – currently allows you to invest a record sum of up to £20,000 each tax year. This is a hugely tax efficient way to make your money go further. And, with a stocks and shares based ISA such as that offered by F&C Investments, you can tap into both the stock market and the skills of their fund managers. Investing wisely over the long term could give you the ability to enjoy a holiday of a lifetime… or, perhaps better still, a lifetime of regular luxury holidays. You will need to be comfortable with the risks of investing, though, including the fact that you may not get back the amount invested. Tax treatment is also subject to change. First off, don’t just go into your bank and get money changed for your impending holiday without looking at the deal you’re getting first (or worse still, leave it until you get to the airport). What is the exchange rate? Do they charge a commission? Don’t take claims of ‘best rates guaranteed’ as gospel. A little forward-planning will mean your money goes much further. The walk-up rates at airports or in very touristy destinations will tend to be vastly inferior, whilst the best deals are usually to be found online. Even online, you’ll find significant variations, so it pays to shop around and there are lots of comparison tools that will help you with this. From some online searches conducted just now, using sites such as Moneysavingexpert.com and Money.co.uk, I’m seeing exchange rates for changing £ to $ varying from 1.393 to 1.327. Note that some providers will charge a delivery fee so, right now, if I wanted $1,000 delivered to my door ahead of a trip to the US, it would cost me anything from £719.02 to £740.85. When you consider that the airport deals will be worse still, that’s not a difference to be sniffed at. And whilst we’re on the subject of exchange rates, the extra vigilant among you might even want to consider going to a destination where the currency is weak relative to the pound (if you’re from the UK) as that can mean your money goes further still. It pays to compare prices and shop around. Some will say you must book direct, others will say you must use an agent. There are pros and cons to each – the key thing is that you consider all options. Planning the whole trip out yourself can work out cheaper. But don’t dismiss using a travel agent outright. Many will have special relationships with properties, cruises and tour operators that can result in additional client benefits. The likes of Travelzoo or Groupon often offer special deals on hotel packages, restaurants and spa treatments also. In the same vein, think about the kind of accommodation you want to stay in. Do you want to be in a hotel or resort with all its amenities, or do you prefer the privacy of self-catering / vacation rental accommodation? With the latter you can often get a lot more for your money, particularly if there’s a number of you. All-inclusive hotels are often perceived as over-priced but the opposite is sometimes true, so be sure to research what would work best for you. If it’s a new hotel, you might be able to take advantage of special ‘soft opening’ rates. Do you need airport parking? Some train stations are located in airports, meaning you don’t necessarily have to drive to the airport. Hotels located near airports often offer free transfers to and from the hotel and/or cheaper parking options. Also the likes of Uber, Lyft and BlaBlaCar all tend to be among the more affordable ways to get around, whether it be for an airport transfer or any other journey you wish to make. Finally, many apps can help you make further savings, using geo-targetting so that you can find special offers and deals local to your whereabouts; for example, with OpenTable you can sometimes snag discounts at Michelin star restaurants. Bear in mind that some destinations are more expensive than others. The cost of dinner in a restaurant might vary greatly from one country to another, or indeed from one place to another within the same country. Over the course of a week or two, these differences can really add up and result in an overall holiday cost that is greater than you had anticipated. Places that are still emerging as holiday destinations are often much more affordable than the well-established holiday hotspots. And, as mentioned already, some destinations may have a favourable exchange rate with your place of residence which will allow your money to go further. It’s not for everyone but, if you travel as a group, there are a number of potential savings. Two or three families sharing a large luxury rental property will likely be vastly cheaper than multiple rooms in a comparable hotel. And the savings don’t stop there – airport transfers, entrance fees into tourist attractions and so on, can all be less expensive with a little more purchasing power. We don’t normally think of private jets when talking about affordable luxury travel, but did you know that even flying privately as a group can be comparable in cost to flying business or first class? One of the biggest ways to make luxury travel more affordable is by playing the system. There are many ways to earn points, be it with airlines or hotels. Credit card sign-up bonuses, and earning points through your day-to-day spending, is a very popular method. With cards, there can also be other associated benefits; we’ve already mentioned cashback, but some will offer free travel insurance, free access to airport lounges, premium levels with some hotel loyalty networks and so on. 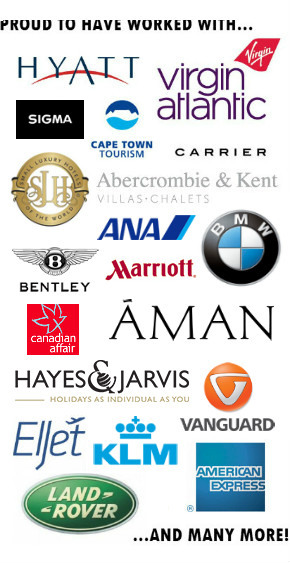 Register also with your preferred airline and hotel loyalty schemes, as well as their newsletters. You’ll enjoy certain perks, particularly if you reach a higher status level, and can get alerted to sales or special offers. Sign up also for cheap and error fare services of which there are a growing number (CheapFlightsLab, Secret Flying, Jack’s Flight Club, Scotts Cheap Flights, Travel Pirates Flight Baron and Yapta to name just some) – you’ll be amazed at some of the deals. If you’re travelling short haul, do you really need business class? Many planes don’t even offer additional leg room on short haul flights so all you’re really paying for is a seat near the front and a highly expensive croissant! Save the extra money for a nice dinner out when you arrive. Similarly, let’s say you’re staying at a lovely resort in the Maldives for two weeks. Do you really need that overwater bungalow for the whole period? Consider standard accommodation for the first week or so, and then treating yourself with an ‘upgrade’ for the final part of your stay, and your money may just go a little bit further. If you’re staying in a hotel with its own kitchenette or in a rental property, do you need to go out for every meal? If you want to keep your total holiday spend in check, be selective on how and when you choose to splurge. Avoid expensive international roaming costs by buying a local SIM card. Many phones nowadays have a dual SIM card tray, so you don’t have to keep swapping your SIM in and out – you just need to remember to change which one you’re connected to through your phone’s settings. You can also travel with a portable WiFi hotspot and use the likes of Skype, Whatsapp Viber and Google Hangouts to avoid costly calls, or just use those services whenever you’re somewhere with an available internet connection. Very useful article! Thanks for these informative tips!! We do try to travel cheaply so we can do more and see more. However, like you said it’s nice to have a few luxuries while traveling. We sit down and figure out where we can cut corners to enjoy a few of those treats along the way. Thank you again for the great list and suggestions. I am bookmarking this link. Glad you found it useful, Paulina… it’s surprising how inexpensively you can still enjoy a little luxury sometimes. Fab article. So many really useful ideas, and ones that you can really put into practice. Makes a refreshing change from the ‘dress nicely and you might get an upgrade’ advice! LOL. Thanks, Mark. Yes, that one is a little outdated nowadays! Whilst it might have worked once upon a time, now it’s usually a case of having a particular airline status that’s most likely to get you upgraded. Loyalty goes much further than being smartly dressed, I believe. Very nice. ‘Love all the tips Paul! We have a discerning teenager so for the last year, we’ve been booking apartments instead of hotels. And when we travel to the Nordic regions, I find that boutique hotels are just as economical as “brand” hotels! I’m having a significant birthday this year, and since my birthday is in December, I’ve invited my German and British family to meet me in Prague, to see the New Year in. I’ve rented a house & garden for 4 days in the suburbs and for just 8 people on the most expensive part of the year, I’m paying just €1,400! Great article! I loved the idea of being flexible especially if you can travel out of peak season; this will absolutely allow/ force the hotel or tour operator to bring down the price( special offers) as they cannot afford to lose you as a customer willing to buy their services/ products. They know well that charging a high price may displace the demand, particularly in a “low season” period. I like that you mentioned that booking early will make you have the best choices available since you will be ahead of everyone from choosing the place that you want to stay in. With that in mind, I will tell my husband to book us a property as early as now even if we plan to have our trip in December. We will be celebrating our anniversary by then, so it is important that we will be choosing the best property in London. Thanks! Of course “super-rich” is the weasel world. Those lucky people who have enough time to spend a month travelling, without worrying about annual leave allowances, are “super-rich” in a very privileged way. Just because they can’t afford to stay in 5 star luxury every night doesn’t mean that they are not rich.